Home / Blog / Weird British driving laws: Truth or myth? Weird British driving laws: Truth or myth? Dec. 22, 2014, 3:24 p.m. Dec. 22, 2014, 3:24 p.m. There are many anecdotes surrounding supposed ‘weird’ British driving laws – London cabs, for example, are allegedly required by law to carry a bale of hay at all times, and it is widely thought that men are able to urinate on the rear offside wheel of their cars, providing their right hands are on the vehicle. But how many of these popular anecdotes are true laws and how many are simply myth? The Law Commission has stated that this is not true. The myth probably stemmed from The London Hackney Carriage Act 1831, which made it an offence for drivers of hackney carriages to feed their horses in the street, unless it was from a bag of his own corn, or hay from his own hands. Hackney carriage drivers were not required to carry oats, corn or hay in their cabs and, indeed, the relevant part of the law was abolished in 1976. 2) It is legal for a man to urinate in public, as long it is against the rear offside wheel of his motor vehicle and his right hand is on the vehicle. Although this is widely reported as fact, this is actually not true. There is no general law forbidding urination in public, although it is often an offence under local bylaws. The same is true of the oft-cited ‘law’ that pregnant women are allowed to urinate in a policeman’s helmet. There is no law allowing or forbidding such a practice, but local authorities are expected to exercise discretion in these cases. So, while there is no law forbidding a pregnant woman from urinating into a policeman’s helmet, a policeman is unlikely to offer her such an opportunity. 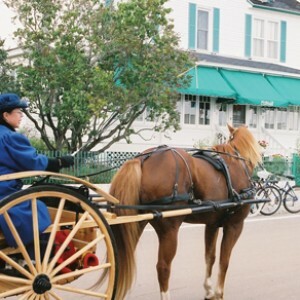 3) It is illegal to be drunk in charge of a horse. This is in fact true and codified in law. 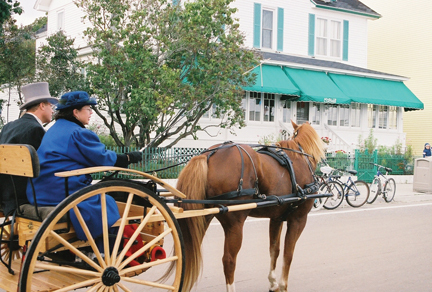 Under The Licensing Act 1872, it is illegal to be drunk while in charge of a horse, carriage, cow or steam engine. It is also an offence to be drunk while in possession of a loaded firearm. This one can be described as half true. Under The Public Health (Control of Diseases) Act 1984, anyone known to be suffering from a disease, including plague, may not enter a taxi without first notifying the driver of their ailment. The taxi driver can then decide whether or not they would like to carry the passenger. A bus driver, who of course carries more than one passenger, must refuse the infected person. Therefore, while there is no specific law prohibiting people infected with plague from flagging a taxi, such rules are in place for persons with infectious diseases in general. 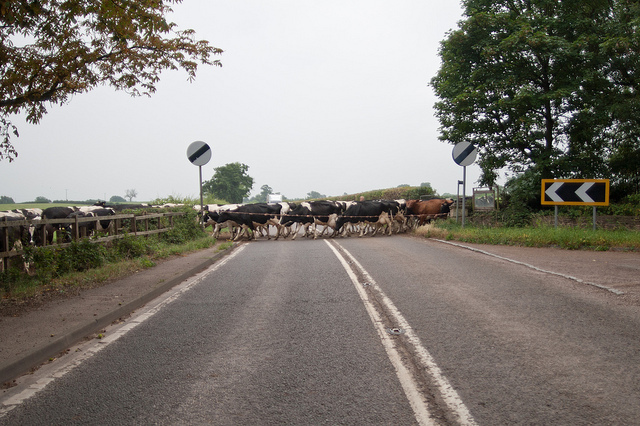 5) It is illegal to drive cows down the roadway without the permission of the Commissioner of Police. Although it may seem very outdated, this is in fact a true law. 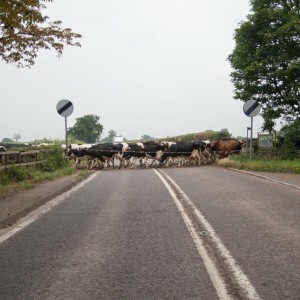 As part of The Metropolitan Streets Act 1867, it is an offence to drive cattle through the streets between 7pm and 10am without express permission from the Commissioner of Police.